FROM Stanwell Park to Windang, the 2012-2013 swim season begins today when lifeguards will officially take up patrols on 17 beaches. 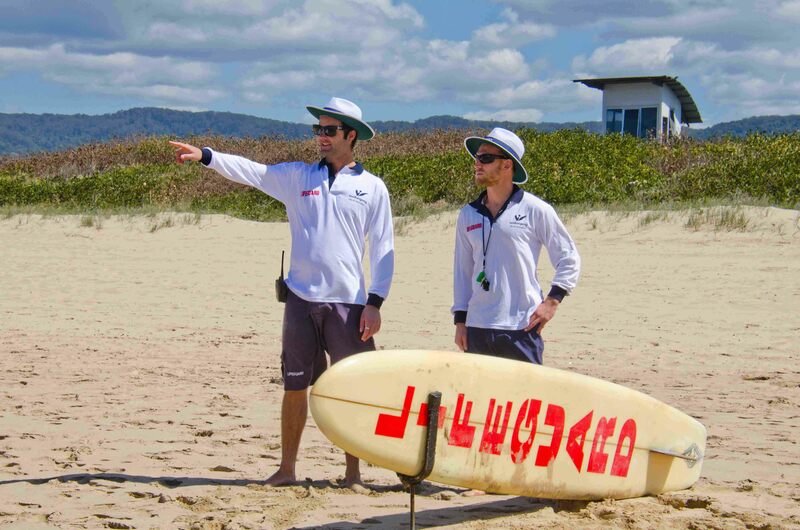 Wollongong City Council’s lifeguards will begin daily patrols on the beaches Monday to Saturday and are complemented by volunteer Surf Lifesaver patrols on Sundays and Public Holidays. Council’s pools will also open from today from 6am to 6pm as part of the 2012/2013 swim season. At the official swim season launch, Council’s Recreational Services Manager Mark Bond said although last summer presented unfavourable beach conditions the warm spring weather sees a great start to the season and also a timely reminder that all beach goers should follow beach safety rules this summer. “The longer term weather forecasts predict a warm dry summer this year, so we are expecting to again see a lot of visitors to our beaches over the coming months,” Mr Bond said. “To make sure it’s also a safe summer on our beaches, Council encourages beach goers to only swim at patrolled beaches and always stay between the red-and-yellow flags and follow the simple ‘no flags, no swim’ rule. “To remain safe you should only swim at patrolled beaches and follow all instructions given by our Lifeguards and volunteer lifesavers. With so many beautiful patrolled beaches on the coast, irrespective of how calm an area may appear, no beach goer should put themselves at risk by bathing in unpatrolled areas,” he said. Council lifeguard service this season celebrates 100 years of service and now sees some 70 lifeguards overseeing beaches in peak season. The service has been further refined with new Honda and Kawasaki all terrain vehicles and Yamaha jet skis to enhance the mobility and responsiveness of the lifeguard service in both educating the public of potential hazards and in rescues. Also celebrating 100 years next month will be Bulli Surf Club. The Club is preparing for its centenary celebrations over the long weekend in October 2012. Included in the celebrations will be the official luncheon at Panorama House, Bulli Tops on Saturday October 13. For more information visit the Bulli Surf Club website. Mr Bond said Council encourages beach goers to be aware of the beach conditions, read and adhere to all safety signage and warnings and take caution when accessing and using beaches. “Council also offers a great community service to recreational swimmers at a range of fresh and saltwater pools throughout the city,” he said. The patrolling season will continue until April 24 2013. For more information on the swim season and pools visit Council’s website.